Hello readers. Happy New year! I hope everyone is ready to take this year by the horns and really push yourselves. I, myself, have been very contemplative as this year has started. I spend a decent portion of my thinking time, trying to figure out this writing thing. I have started to think of these parts of our thought process as their own entities. And with this in mind I have come up with the six figures of writing. 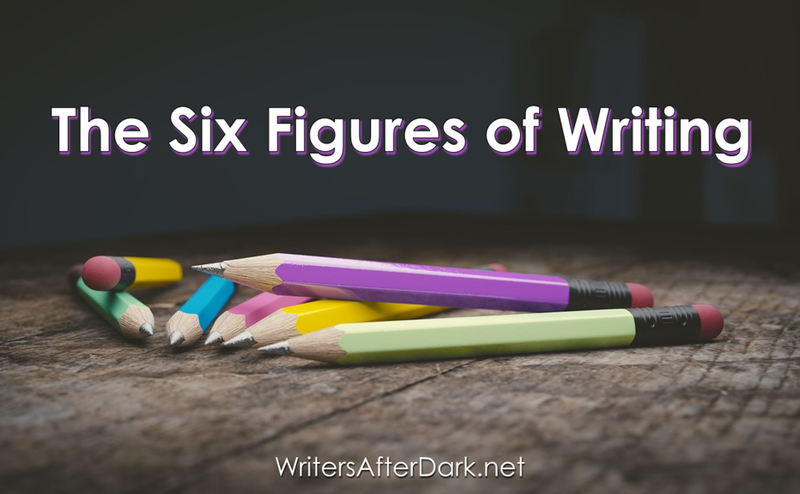 Of course, they could be the six figures of a creative mind, but as I am a writer, I am applying them here. This is the figure that allows us to even imagine starting the story. They love to cheer on the idea process and make us feel like we can for sure get that six-figure publishing deal. This entity is much needed and without them there would be no writer. The strength of the Champion can wain as the process goes on, but occasionally they can push us to completing at least the first draft. The most sinister figure of the six. The Doubt Demon’s only purpose is to make you feel that something is wrong. This is often the smoke without the fire figure. Mine likes to come at night when all of my defenses are down. It is often behind the phrases such as, “I’ll never make it.” “No one is going to read this.” “I am wasting my time.” “This is just bad.” Its goal is to make you quit and it feeds off the feelings of self-loathing and rejection. The Wise One is one of the most important figures. They are there to bridge the gap between The Champion and The Doubt Demon. Because while we should never trust the DD there are times, we need to be critical of our work. The Champion may convince us we don’t need an editor, we are just that great or that the scene where the hero plays with kittens for thirty pages is an absolute necessity that will revolutionize the literary world. The Wise One is often weaker as we begin our creative journey, but if one stays the course the figure will grow into a great companion. This figure is becoming more and more important as the publishing world changes. Knowing that art is good and your new baby is precious is great, but you need this figure to come in and say, “Hey let’s sell this bad boy.” This is the figure that can make us start a YouTube channel or make those circuits around the social media-sphere. They are the one that knows you have to spend money to make money and that the right package will get that art in someone hands and that green in your pocket. This is a strange figure for me. Not necessarily good, but sometimes very distracting. The Other loves to show off new merchandise while you are working on something already. “Hey,” The Other says. “I know you’re busy and all, but did you see how shinny this is?” A product of the active mind most writers have, The Other never feels any amount of ideas are enough. The best way to deal with this figure is to shove him somewhere with a limitless number of folders. I mean hey we will need these after we are done with our current WIPs. Here is the child of The Champion. Well-intentioned and often carrying the excitement when The Champion is too tired to hold the flag. LBE just loves to set goals and send us off chasing after them. The problem with this figure is that they often cannot manage themselves. They tend have very little flexibility and will turn quite dark when feeling they have not reached their goals. All of these and maybe more are part of who we are. It is important to understand each facet of the creative process. With time and practice we can learn to recognize these figures and manage them so that they are a boon instead of a detriment. Do any of them sound familiar to you? Do they apply to something outside of the writing process for you? Anyway, I want to wish everyone a happy new year and I hope to see you again soon. Have fun with life and, keep reading.